Review: Swervedriver, 'I Wasn't Born To Lose You' The British shoegaze band's first album in 17 years sounds dreamy, subtle and winning. It mostly eschews the rocking of Swervedriver's early years, but it compensates with disarming beauty. In the early '90s, Swervedriver frontman Adam Franklin was an oddity in the British shoegaze scene. Unlike his contemporaries in My Bloody Valentine, Ride and Slowdive — who subverted the showy exhibitionism of pop music by shrouding themselves in isolating blankets of sound — Franklin clearly liked to rock. He could play as prettily and atmospherically as his peers, as evidenced by the band's 1993 masterpiece Mezcal Head. When it came down to it, though, he seemed like the kind of guy who'd rather flip his hair than study his footwear. This changed a bit with 1998's 99th Dream, a careful, eclectic record that demonstrated Franklin's increasing restlessness and maturity as a songwriter. 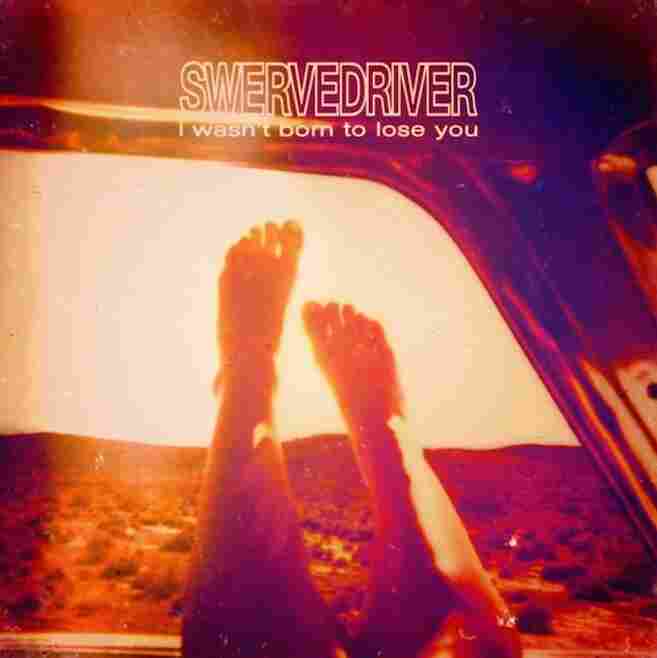 It also wound up being many fans' least favorite Swervedriver record. Seventeen years later, I Wasn't Born To Lose You is the band's first full-length since 99th Dream, a fact that brings both good news and bad. The bad news: It sounds more like 99th Dream than anything else in Swervedriver's discography. The good news: 99th Dream is far better than most people remember, and I Wasn't Born To Lose You is just as dreamy, subtle and winning. If not necessarily as rocking. "Autodidact" not only sets the tone for the album, but also sums up Swervedriver's past and present. Wistful and yearning, it flirts with both beauty and dissonance as Franklin offers humbly poetic observations about "gas stations as churches." His voice — which always bore a welcome resemblance to the starry-eyed croon of Grant Hart from Hüsker Dü, a group that clearly influenced Swervedriver as much as, say, Cocteau Twins — has eroded a bit since Swervedriver's '90s heyday. But that slightly rugged quality only makes the dreamy longing of "For A Day Like Tomorrow" sound that much more bittersweet. The eclecticism last heard on 99th Dream shows up here, most notably in the stoner-rock groove of "Red Queens Arms Race" — if it's an homage to Queens Of The Stone Age, it's a worthy one — and the psychedelic prog of "Lone Star," an ambitiously arranged showcase for Franklin's sprawling ambition. Only two tracks, "Last Rites" and "I Wonder," fit the classic shoegaze mold; even then, they splice hard-edged emotional realism into all that churning, billowy noise. As a melodicist, Franklin has never been stronger or more intimate. And even though I Wasn't Born To Lose You doesn't rank up there with Mezcal Head in terms of capturing a zeitgeist — or just plain rocking out — its soft, warm glow is a subtle reminder that shoegaze, all these years later, still has space left to explore.